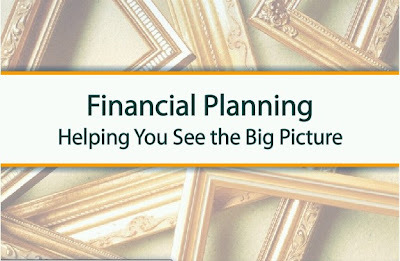 We talk about Financial planning on this Blog. 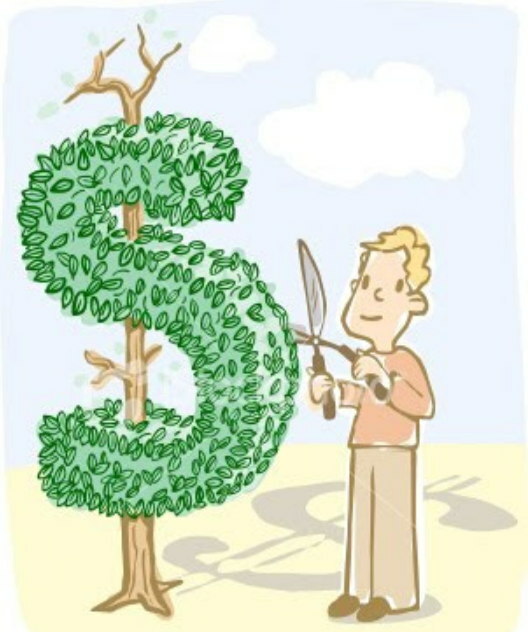 Today let’s see in this article what is the goal of Financial Planning? More importantly what Financial planning is not!! Most of the people think that Financial Planning is about getting great returns and about Finding the best Insurance for yourself and about having better than average knowledge about Finance and Investments. But in reality they are small components of Financial planning and the core of it is something else. Why do we come to this World? Let us answer some basic questions in life. Why are we in this world and what is our life’s Objective ? Why are we working hard with the jobs we have , For a moment just ask yourself , why are you here on this blog? Is your sole objective or goal in life is to Make a lot of Money? Is your purpose in Life is to choose the “best” mutual fund , so that you don’t miss that 30% return next year , and you don’t want to compromise with just 26-27% return which other mutual fund can also give? Is your Purpose in life is to save 10,000 (not more than 3-4% of your Annual salary) by not buying Term Insurance to cover the risk of your Family? Why do people ask me which Stock will go high in next week and they should but it. At the end, Ask your self what is the top fundamental requirement in your Life, What do you want from your life, I will answer it for you if you are confused. We are here to be lead a Happy and Healthy Life . Financial Planning is deciding a road map for you self and deciding in advance how will you invest your money which helps you achieve your Financial Goals in life comfortably. Financial Planing will give you a Path on which you just have to walk overtime because you have decided and planned everything in advance . Financial Planning is about Consistency. It’s about having a vision. It’s about promise to yourself that you will follow the plan with discipline. Its not about getting 30% or 40%, its about getting X% which will help you achieve your goals easy enough without compromising and exposing you to unnecessary risk. Learn What are 8 steps of Financial Planning? Choice 1: You can Invest Rs 2,000 every month through SIP in some good mutual funds which has good track record over long term. You can try PPF + Equtiy Diversified funds OR you can try Mix of Balanced Funds if you are not big risk taker 🙂 . This this case , you have to do just follow the plan , Just invest 2k every month consistently and review your Fund performance every year once [See this calculator to calculate it for your goals]. If they start getting bad , shift to some other good fund. Just imagine how easy and comfortable this situation is! If you can little more risk you can do that but not too much. Choice 2: You are ready to invest 2k per month but here you want the best mutual fund- one which gives 25% or may be 30% return. Now the point is, may be this Mutual fund returns you a lot of money, may be more than what you wanted BUT, it also may go up and down too much in short term or long term because of the risk it exposes you to. Are u ready to take that risk of not meeting your financial goal? I would also agree that the chances of that case it too small but why to take even that risk when you have the other way where you can achieve it without any risk? People concentrate too much on Buying the Excellent Mutual Fund? May be people do not understand meaning of “Best Mutual Fund”. So let me declare what is meant by best Mutual fund: the best mutual fund for you is the Fund which suits your requirement and has ability to help you achieve your Financial Goals without risking your money! Some days ago I posted about “Best Mutual Fund for 2009”, now does it mean, that you go and buy it just because their returns are too high? NOT at all!! All these mutual funds gave negative 40-50% return in 2007-2008. What if you had 1 lakh today and wanted to save that money for your Child Education which is payable in next 1 yr , suppose you need to pay 1 lakh only after 1 yr or may be 1.05 lacs. In this case your “requirement” is Safety and not growth of your money. Will you go and invest in those mutual fund for the reason that they are excellent funds. Will you not take into consideration that if they go down your 1 lakh will go down to 50-60k and in that case it does not suit your requirement. You have to understand that they are linked to Markets and may not suit your requirement. If you are planning for your Retirement and saving a decent amount of money every month then all you need is return that is close to 12-15% CAGR [Learn What is CAGR], which is achievable in long term if you just invest in mutual funds through SIPs. In that case how does it matter if you invest in “Rank 1” Mutual fund or “Rank 5” mutual fund? I am not saying that you should not try to find good Mutual funds but shift your Focus from “buying the best mutual fund” to “Buying a Mutual fund which will help me achieve my goals”. I would conclude this article by repeating the same point that Financial Planning is not at all about getting great returns or beating your friend’s portfolio performance or doing better than average. It’s a personal thing and totally relevant to you and to your needs and your Financial Goals. Its about having a predetermined plan or strategy to make use of whatever money you have in a hassle free way. Getting great returns or doing just better than average is not a very significant part of Financial Planning. I hope all your doubts must have cleared by now. If you still have any then leave your query in our comment section. My query is how much % of one’s protfolio should be in debt . Lets say if i save 5 lakh a year? This will depend on your risk preference , your age etc . Asset allocation is not tightly coupled with the amount you save I would say young people below 30 can have less than 20% in debt and people near retirement should have more than 70% . Pingback: How set your financial goals in life ? Pingback: 5 reasons why you should hire a financial planner? 1. I see there are two broad categories of investments that can be made as part of financial planning: One – equity, mutual funds etc (high risk, high return), Two – FD’s, savings certificates etc (low risk, low return). Assuming that is correct, can someone who is only after the list of goals you defined achieve them by the 2nd category of investments I mentioned above? 2. Can the same someone in question 1 (Mr. Conservative, Mr. Complacent!) carry out his financial planning effectively without hiring a financial planner? 1) Yes , It would be difficult to achieve things just by investing in Debt for long term , out fathers and grandfathers did this , but they will not realise that they worked very hard for this and could have done it in much lesser investment only if they had put money in equity for long term . When we only invest in Debt for long term , we are ignoring the basic fact of personal finance that we can get much higher returns from equity will almost same or may be little higher risk . Just find out who lost money from equity who invested for more than 10+ yrs ? Almost no one except some rare cases . 2) In this case where one is investing money in just debt would not require a lot of financial planner skills because just debt investing then beats the purpose . You can just set goals , find out the target amount and then target monthly investment and keep doing it . Financial planner job is not just limited to Investments , he is also a mentor in Insurance, health Debt managment , asset allocation (which will be missing in this case , as there is no mix of asset class) . I am a researcher from psychology department. Interested in bloggers and their behavior. My research topic is "Blogging Improves Self-Identity". I am a researcher from psychology department. Interested in bloggers and their behavior. My research topic is "Blogging Improves Self-Identity". In connection with my research I need your help. If you spare your mail id, I will be sending the research questionnaire's to your mail Id. You can give your responses to the questionnaire. My mail Id is meharun@gmail.com. Kindly cooperate in this survey. Your response will be used only for research purpose. To end with friendly note, I am always ready to help you if you have any queries or doubts related to psychology. Thank you. Excellent post. Has been said in very simple and lucid language yet very effective. What should one strategy be while investing in MFs? For example if Mr. X is investing in a ABC MF in the year 2003-04 and keeping it for long term which is what the experts advise, he finds his ABC MF rose very high giving almost 40%and then just when thought of withdrawing after pre-decided term of 5 years 2008-09, the market crashes and his ABC MF is giving negative -15% returns. Now one would easily say, he should have withdrawed when he was gettin 40%, but again the same advisers say, you can time the market, just keep on investing with a particular time frame and goal in mind. Now poor Mr. X has wait for the wheel to turn again first getting his orginal principal amount which could take couple of years and then think of profit if he stills want to remain invested!. I am confused. Please advise. Vikas. Can you explain us the options available in NCD.Iam planning to purchase some>but i have a doubt related to the "Trading" at NSE.Can i buy/Sell the NCD at the later date from NSE.So can we park our money short term in this high yield instruments ? Pls Clarify. Itni bate tumhare deemaag main aati kahan se hain.